Olympisch park in de buurt van Shibuya 10 minuten! Sakurashinmachi ligt op minder dan 10 minuten afstand van Shibuya en zijn beroemde oversteek, en een enkele trein naar de adembenemende Tokio Skytree en Asakusa gebied, is gunstig gelegen nabij maar heel erg uit de drukte van de mega-stad. Een rustig, gezellig en gezinsvriendelijk gebied. Het staat bekend om de setting van de Anime Sazae-san, met schattige huldeblijken van de personages verspreid over het gebied! Er zijn veel handige, unieke en nabijgelegen supermarkten, winkels, restaurants en parken om te verkennen, en het ligt op slechts een korte wandeling naar het Olympisch Park, de gastheer van de Olympische Zomerspelen 1964. Het gebouw heeft dikke betonnen muren, dus de kamers zijn erg rustig en vredig, en worden opgesplitst met vakantieverhuur en echte Japanse huurders, dus je zult de Japanse levensstijl als een locale ervaren. U krijgt een verscheidenheid aan nuttige voorzieningen om uw verblijf zo gemakkelijk mogelijk te beheren en ons op elk moment een bericht te sturen om iets aan te vragen dat u misschien nodig heeft. 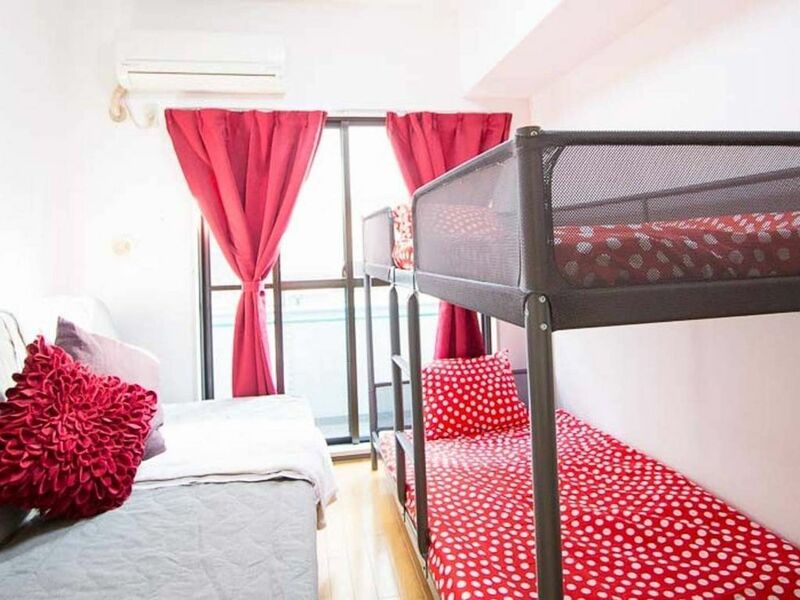 Ervaar eenvoudig zowel de Hustle en Cosy kanten van Tokyo met dit huis. Deze accommodatie heeft een vergunning bij de Japanse overheid voor vakantiewoningen. Let me start off by saying this was the worst experience ever, I came here at around 9pm tired from traveling 18 hours I ended up staying at a hotel. And no I did not get my money back. They earned free money off me when I didn’t stay one night in this place. Be warned. first off the place is extremely small! Tired, weary and frustrated of what I saw on my first night I was forced to book a hotel immediately and leave, because even though the owners said I didn’t contact them in time. they would take around 7 hours to reply to me regardless. Not an assumption but a fact based on our other messages. Hello Ashley, I'm sorry to hear your version of events was so negative, however I wish you would not go so far to distort down your experience. As with any hotel-like establishment, you cannot cancel after you checkin and expect to receive a refund because you didn't [like?, expect?] the room after booking months in advance. The room in its entirety is displayed in the photos and described in the description, and we made no mention of, nor did you specifically request to us any modification of the room itself. Your misinterpretation of communication (that frankly didn't even happen, upon review) lead to a false expectation of the room that did not match what we advertise/describe. In Tokyo, All housing is small, especially compared to places like America. Any Airbnb or Hotel you stay in at this price range is going to be roughly this size. Unfortunately size is an aspect of the room we cannot easily change. You mention issues with the cleaning quality, however we went in immediately following to evaluate and did not see any stains on the sofa, buildup of dust, or any issues with the cleaning quality. We have each room professionally cleaned and linens and bedding switched out by supply from our linens provider after each guest. Furniture items, such as the Sofa bed cover, mattress covers, pillows, etc., to the best of our ability, is swapped out and cleaned every few months at maximum. We hold cleaning to a very high standard. In Addition, We do have a clear refund policy that states cancellations must be made 7 days prior to checkin to receive a refund. Any time there is a genuine issue with a room or guest experience, we will look for and immediately offer an alternative room or set of rooms as an alternative to your reservation, and if there is significant inconvenience as a result, we do offer 1 night's refund. If we cannot provide an adequate alternative, then we will issue a full refund. Unfortunately you did not provide us with a chance to offer an alternative solution for you. In the first message you sent us that gave us any hint of dissatisfaction, you mentioned you had already left and had other accommodation. We did have other, neighboring units that we would have offered you as an alternative. Over the past 2 years, we have hosted over 300 reservations, maintaining an over 4.8/5 star overall rating. This is the first and only 1 star review we've ever received. Although this was stretched pretty far to try to get it that low.